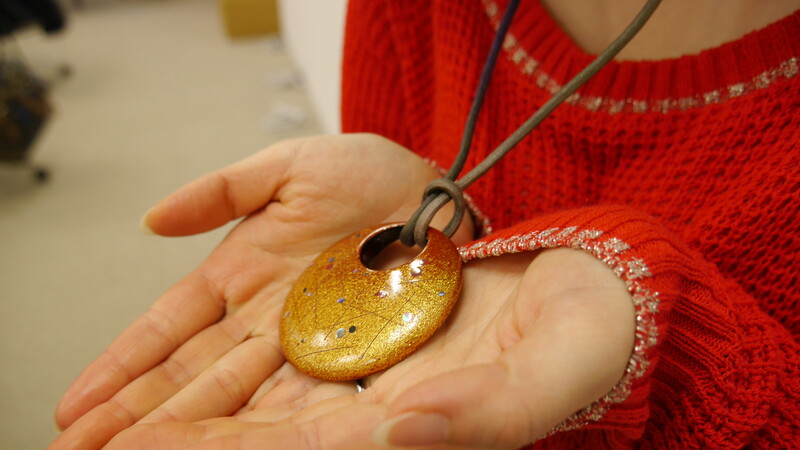 Gorgeous Seashell Pendants made by artisans of the Toyama Prefecture in Japan. 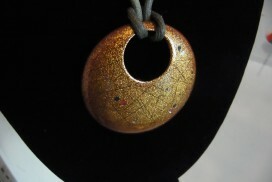 These pendants are handmade, unique, with gold and sea shell (depending on the design) – A unique jewel, an elegant and delightful piece of art. 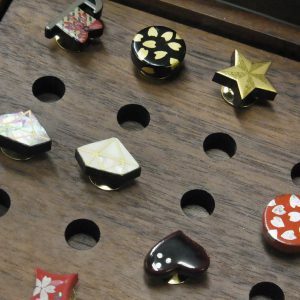 These pendants are made with the technique of Maki-e Japanese lacquar. Maki-e is a Japanese lacquer sprinkled with gold or silver powder as a decoration using amakizutsu or a kebo brush. The technique was developed mainly in the Heian Period(794-1185) and blossomed in the Edo Period(1603-1868). Maki-e objects were initially designed as household items for court nobles, they soon gained more popularity and were adopted by royal families and military leaders as an indication of power. 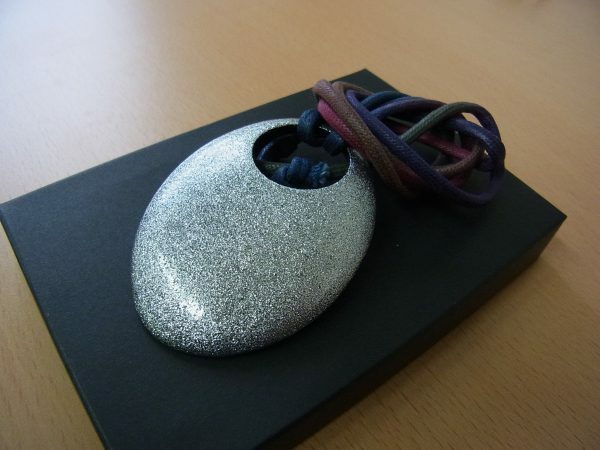 To create different colours and textures, maki-e artists use a variety of metal powders including gold, silver, copper, brass, lead, aluminum, platinum, pewter, as well as their alloys. Bamboo tubes and soft brushes of various sizes are used for laying powders and drawing fine lines. As it requires highly-skilled craftsmanship to produce a maki-e painting, young artists usually go through many years of training to develop the skills and to ultimately become maki-e masters.